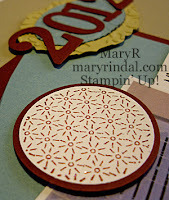 Here is my page for the January Stampin' Addicts Theme Challenge SASCRAP68 - It's a NEW YEAR - Goals, Resolutions and Gratitude. 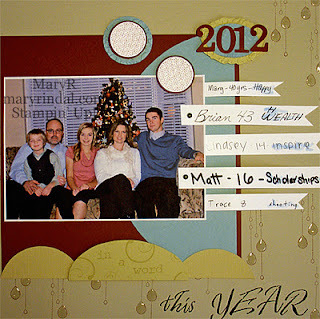 I love the fresh start and new dreams of a New Year - create a page that you love! My family did a Personal Plans type page. 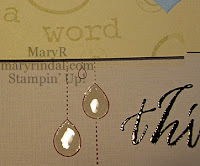 You could make a Gratitude inspired page as well, naming those things for which you are grateful this year. I gave each of my people a strip of Whisper White Cardstock and a Journaling Pen and asked them to write their name, age and a word to describe the plans they have for 2012. The discussion that followed was fun, too. I love the thoughtfulness and different approach that everyone had. What a reflection of each of their personalities! So this page is a quick moment of time where each of us is looking ahead and making plans for what we see for ourselves in 2012. I think the banners are a little stark on this page, but I wanted everyone's personal writing captured, too. For my layout, I used the awesome SA67 Sketch Challenge for this month. The title THIS YEAR is Black Craft ink embossed in Clear Embossing Powder using Spencerian Alphabet Upper and Spencerian Alphabet Lower. The 2012 at the top is die cute using the Timeless Type Alphabet Sizzlits. 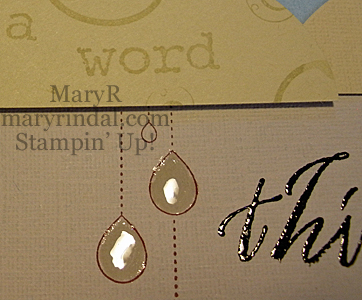 The ball embellishment and stamped crystals are from My Friend stamp set, one embossed in Iridescent Ice Embossing Powder and the others covered in Crystal Effects. Go and Create! And be sure to Share!